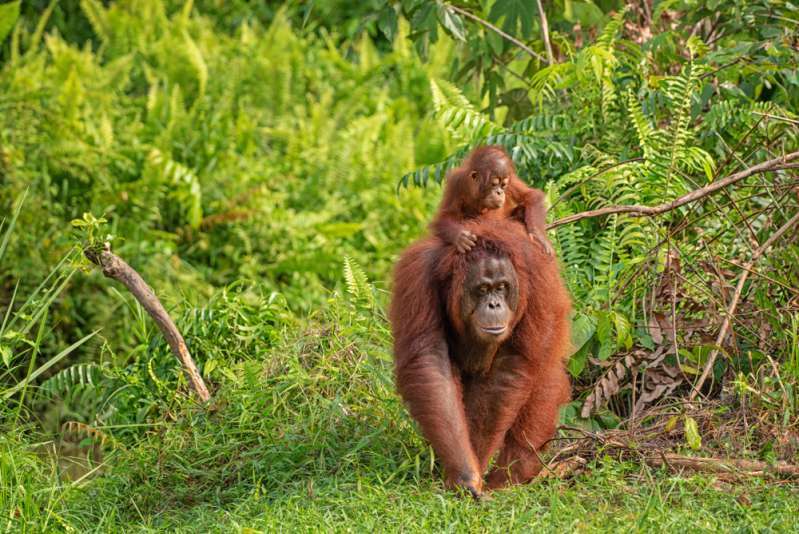 'Orangutan' is a Malaysian word meaning 'a person of the forest'. Orangutans are arboreal animals who spend most of their time between resting and feeding. These animals feed on ripe fruits. A male orangutan is twice the size of a female and has more hair and cheek pads. It is interesting to note that these animals give birth once every eight years and have a period of eight months gestation. A female becomes reproductive between the age of 15 and 16. They are characterized by slow growth and development and have a life span of 60 years. These large mammals are peaceful, calm and deliberate, possessing cognitive abilities such as logical reasoning, foresight, and tool production. Borneo and Sumatra are some of the places you could find these incredible creatures. A touching video showing the heartwarming reunion between a mother orangutan and her baby has tugged at many people's hearts. 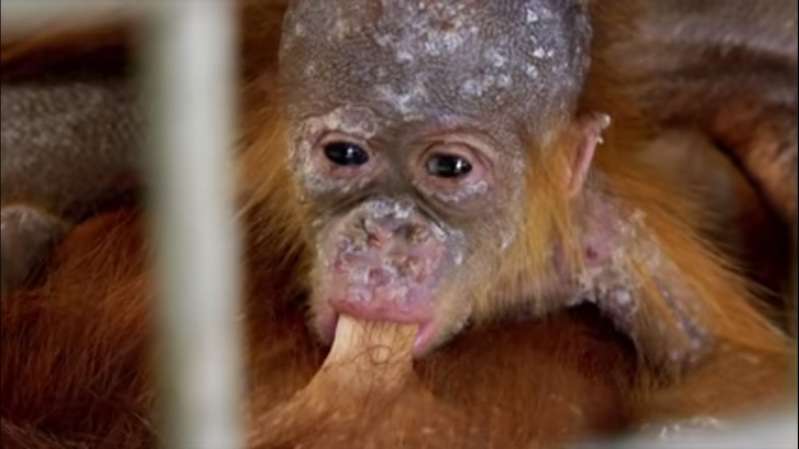 The clip is part of a TV show titled ‘Orangutan Jungle School,‘ which shows how orphaned orangutans are rescued, cared for and released back to the jungle. Mama Clara and her little Clarita were living a semi-independent and peaceful life before a local dominant male kidnapped baby Clarita. However, the organization that operated the school in Borneo jungle, the ‘Borneo Orangutan Survival Foundation’, rescued the baby. The park staff cautiously introduced Clarita to Clara, who could not help but touch her baby. Their reunion was truly heart-melting, as Clara could not wait to have her baby in her arms. She struggled to open the cage and lovingly took her baby in a warm hug. The park staff could not hold their emotions as they watched the two. The fear that the park staff had of momma Clara not feeding her baby soon dissolved into thin air as the mother offered her crying baby milk. In the end, humans aren’t the only ones with motherly affection after all: Animals also have feelings. 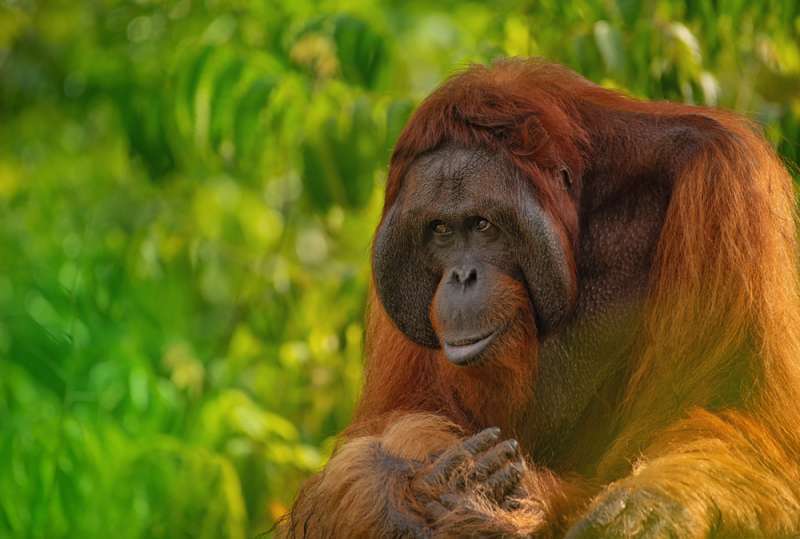 The International Union for the Conservation of Nature (IUCN) has classified the Bornean and Sumatran orangutans as critically endangered species. 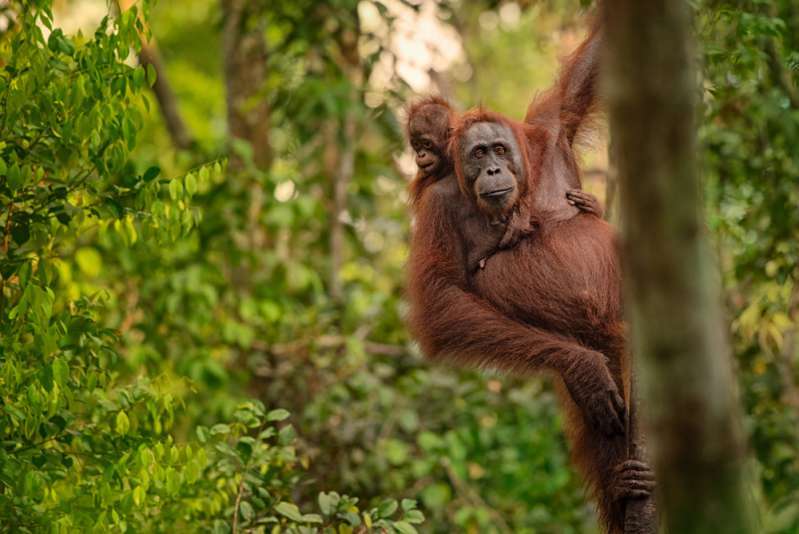 In 1970s, there were an estimated 200,000 orangutans, but that number has declined to about 50% of that figure, and this is due to habitat loss caused by continued encroachment from farming, logging, and poaching. How do we prevent these incredible creatures from going extinct? We are glad that Clara got reunited with baby Clarita. 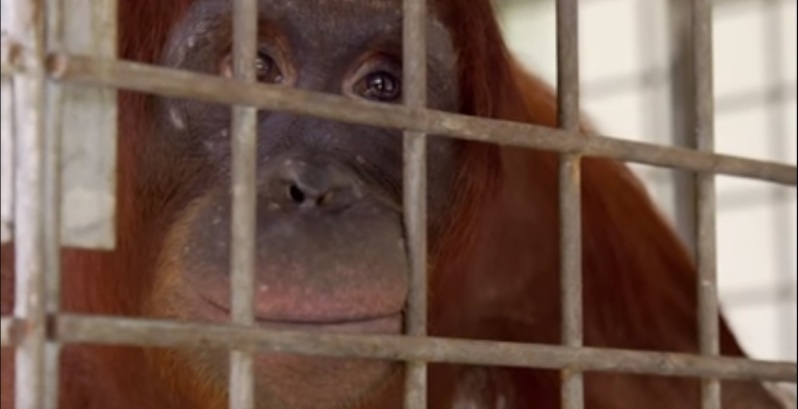 It is up to us to keep other mother orangutans from experiencing the same pain. We should all work toward making the world a safe place for animals.